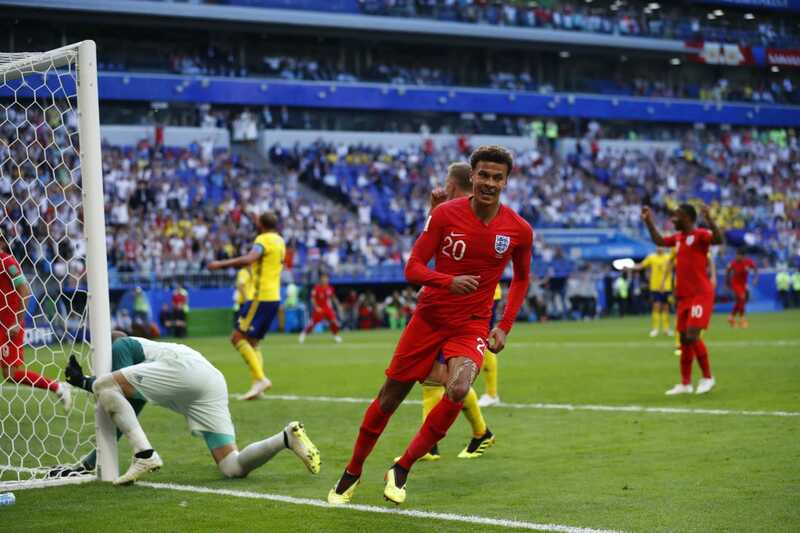 England are through to semi-finals of the Russia World Cup following a 2-0 win over Sweden in Samara on Saturday. Harry Muguire and Dele Ali were on the scoreboard for the Three Lions as they made the round of four for the first time since Italy 1990. Sweden on the other hand were aiming to return to the semis since finishing third in USA 1994, however, the Yellow-Blue did not show-up and played second fiddle to England the entire match. Harry ignited the game at the half hour mark with a fine header for a slim 1-0 lead that the Gareth Southgate’s men took into the breather. Dele doubled the lead from close range in the 65th to seal the game. England will know their semi-finals opponents later tonight when hosts Russia take on Croatia in the final quarters fixture.